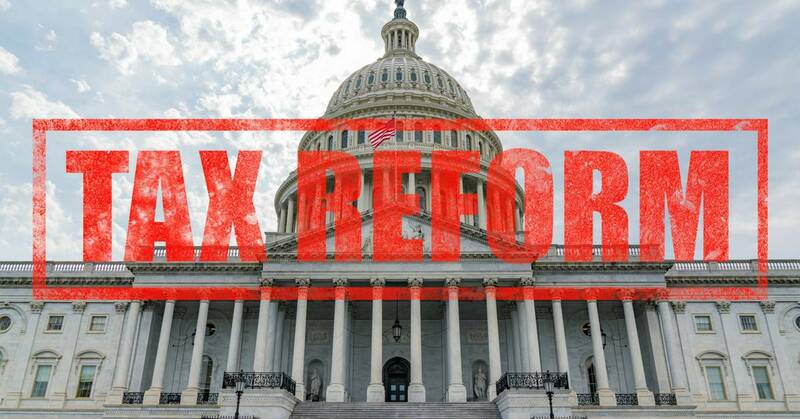 The recently enacted Tax Cuts and Jobs Act (“TCJA”) is a sweeping tax package. Here’s an overview of some of the more important business tax changes in the new law. Unless otherwise noted, the changes are effective for tax years beginning in 2018. Corporate tax rates reduced. One of the more significant new law provisions cuts the corporate tax rate to a flat 21%. Before the new law, rates were graduated, starting at 15% for taxable income up to $50,000, with rates at 25% for income between 50,001 and $75,000, 34% for income between $75,001 and $10 million, and 35% for income above $10 million. Dividends-received deduction. For corporations owning at least 20% of the dividend-paying company, the dividends-received deduction has been reduced from 80% to 65% of the dividends. For corporations owning under 20%, 70% to 50%. Alternative minimum tax repealed for corporations. The corporate alternative minimum tax (AMT) has been repealed by the new law. Alternative minimum tax credit. Corporations are allowed to offset their regular tax liability by the AMT credit. For tax years beginning after 2017 and before 2022, the credit is refundable in an amount equal to 50% (100% for years beginning in 2021) of the excess of the AMT credit for the year over the amount of the credit allowable for the year against regular tax liability. Net Operating Loss (“NOL”) deduction modified. Under the new law, generally, NOLs arising in tax years ending after 2017 can only be carried forward, not back. The general two-year carryback rule, and other special carryback provisions, have been repealed. These NOLs can be carried forward indefinitely, rather than expiring after 20 years. Additionally, under the new law, for losses arising in tax years beginning after 2017, the NOL deduction is limited to 80% of taxable income with Carryovers to other years being adjusted. Limit on business interest deduction. Under the new law, every business, regardless of its form, is limited to a deduction for business interest equal to 30% of its adjusted taxable income. For pass-through entities such as partnerships and S corporations, the determination is made at the entity, i.e., partnership or S corporation, level. There are computation limitations. Any disallowed interest is carried forward. Generally, the limitation does not apply to taxpayers with an average annual gross receipts of $25 million or less for the three-prior years. Real property trades or businesses can elect under certain circumstances. Domestic production activities deduction (“DPAD”) repealed. The new law repeals the DPAD for tax years beginning after 2017. Penalties and fines. Under pre-Act law, deductions are not allowed for fines or penalties paid to the government for the violation of any law. Now, no deduction is allowed for any otherwise deductible amounts that relate to the violation of any law, investigation or inquiry, excepting any payments for restitution, remediation or compliance with any law violated or asserted. The exception must be identified in the court order or settlement agreement as such a payment. An exception also applies to an amount paid or incurred as taxes due. Sexual harassment. Under the new law, effective for amounts paid or incurred after Dec. 22, 2017, no deduction is allowed for any settlement, payout, or attorney fees related to sexual harassment or sexual abuse if the payments are subject to a nondisclosure agreement. Lobbying expenses. The new law disallows deductions for lobbying expenses paid or incurred after the date of enactment with respect to lobbying expenses related to legislation before local governmental bodies (including Indian tribal governments). Under pre-Act law, such expenses were deductible. Family and medical leave credit. A new general business credit is available for tax years beginning in 2018 and 2019 for eligible employers equal to 12.5%( subject to increase) of wages they pay to qualifying employees on family and medical leave if the rate of payment is 50% or more of wages normally paid. The maximum leave is 12 weeks. A written policy must be in place and allowing at least two weeks of paid family and medical leave a year for full time employees and pro-rated amount of leave for less than full time. A qualifying employee must be employed for at least one year in the preceding year, had compensation not above 60% of the compensation threshold for highly compensated employees. Paid leave provided as vacation leave, personal leave, or other medical or sick leave is not considered family and medical leave. Qualified rehabilitation credit. The new law repeals the 10% credit for qualified rehabilitation expenditures for a building that was first placed in service before 1936, and modifies the 20% credit for qualified rehabilitation expenditures for a certified historic structure. The 20% credit of the qualified rehabilitation expenditures is allowable during the five-year period starting with the year the building was placed in service. Increased Code Sec. 179 expensing. The new law increases the maximum amount that may be expensed under Code Sec. 179 to $1 million. If more than $2.5 million of property is placed in service during the year, the $1 million limitation is reduced by the excess over $2.5 million. The expense election now includes (1) depreciable tangible personal property used to furnish lodging and (2) the improvements to nonresidential real property made after it was first placed in service: roofs; heating, ventilation, and air-conditioning property; fire protection and alarm systems; security systems; and any other building improvements that aren’t elevators or escalators, don’t enlarge the building, and aren’t attributable to internal structural framework. Bonus depreciation. Under the new law, a 100% first-year deduction is allowed for qualified new and used property acquired and placed in service after September 27, 2017 and before 2023. Pre-Act law provided for a 50% allowance, to be phased down for property placed in service after 2017. Under the new law, the 100% allowance is phased down starting after 2023. Depreciation of real property. The new law modified some rules for the depreciation of residential rental buildings and certain building improvements. Luxury auto depreciation limits. Under the new law, for a passenger automobile for which bonus depreciation (see above) is not claimed, the maximum depreciation allowance is increased to $10,000 for the year it’s placed in service, $16,000 for the second year, $9,000 for the third year, and $5,760 for the fourth and later years in the recovery period. These amounts are indexed for inflation after 2018. For passenger autos eligible for bonus first year depreciation, the maximum additional first year depreciation allowance remains at $8,000 as under pre-Act law. New rules for post-2021 research and experimentation (“R & E”) expenses. Under the new law, specified R & E expenses paid or incurred after 2021 in connection with a trade or business must be capitalized and amortized ratably over a 5-year period (15 years if conducted outside the U.S.). Like-kind exchange treatment limited. Under the new law, the rule allowing the deferral of gain on like-kind exchanges of property held for productive use in a taxpayer’s trade or business or for investment purposes is limited to cover only like-kind exchanges of real property not held primarily for sale. Under a transition rule, the pre-TCJA law applies to exchanges of personal property if the taxpayer has either disposed of the property given up or obtained the replacement property before 2018. Excessive employee compensation. Under pre-Act law, a deduction for compensation paid or accrued with respect to a covered employee of a publicly traded corporation is deductible only up to $1 million per year. Exceptions applied for commissions, performance-based pay, including stock options, payments to a qualified retirement plan, and amounts excludable from the employee’s gross income. The new law repealed the exceptions for commissions and performance-based pay. The definition of “covered employee” is revised to include the principal executive officer, principal financial officer, and the three highest-paid officers. Employee achievement awards clarified. An employee achievement award is tax free to the extent the employer can deduct its cost, generally limited to $400 for one employee or $1,600 for a qualified plan award. An employee achievement award is an item of tangible personal property given to an employee in recognition of length of service or a safety achievement and presented as part of a meaningful presentation. The new law defines “tangible personal property” to exclude cash, cash equivalents, gift cards, gift coupons, gift certificates (other than from an employer pre-selected limited list), vacations, meals, lodging, theater or sports tickets, stocks, bonds, or similar items, and other non-tangible personal property. 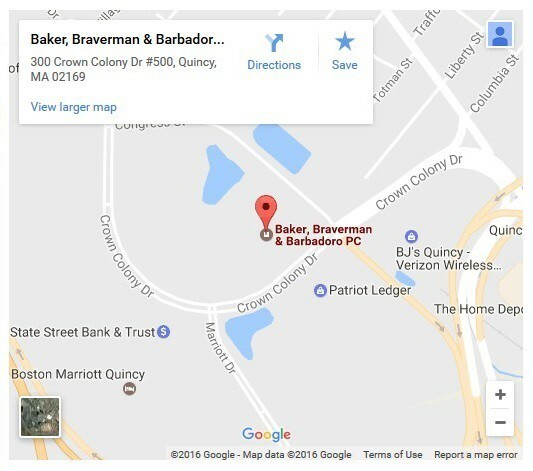 If you have questions about the Business Tax Changes for 2018, please contact one of the tax attorneys at Baker, Braverman & Barbadoro, P.C. to set up an appointment. – Warren F. Baker.